did you find some travis integration for that? did you do all this before? Yay, build status is available on the right under Activity. @kinsamanka I don't understand the second docker run in #805 ? Could you explain why this is needed instead of using proot? I see it first tars /opt/rootfs (the arch-specific environment) and then letting docker untar the file through docker build so that it can run the /opt/rootfs as if it were a root... but doesn't proot does exactly that with -R? hmm, is that related to process isolation of docker? why would it not be possible to run inside a chroot instead of docker? is systemd being used nowadays btw? @bobvanderlinden i see only your activity (bobvabderlinden/machinekit) in the side panel. ah, the problem isn't using the wrong url, but if anyone uses the machinekit fork they will also use .travis.yml if Travis builds their repo. Travis will execute the url for whichever fork there is. Kind of funny really. I've found a solution that keeps the gitter url private in Travis. so you mean that anybody who builds in travis gets noted in the sidepanel here? I tried drone.io, but I couldn't get it to configure properly through .drone.yml. The documentation and posts mostly talk about a self-hosted drone server, instead of drone.io. Not sure what was up with that. So, maybe trying CircleCI is a next step... I do like that drone can be self-hosted though. 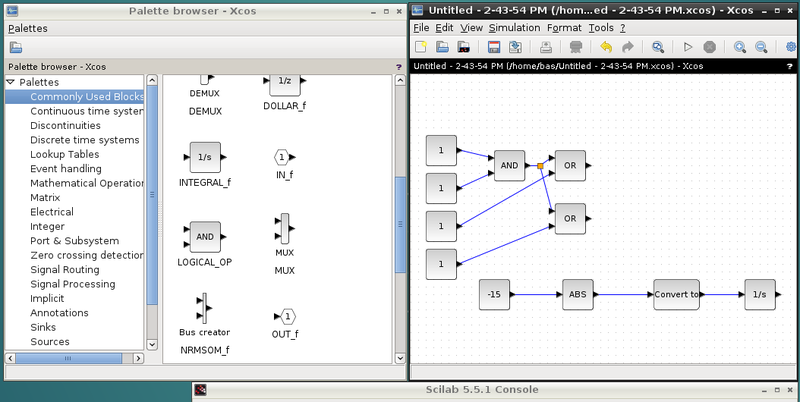 just dumping a thought on visibility: I installed scilab which has xcos, which is similar to simulink. You can wire up blocks, and you can output that to an xml file. some sheet IO component might be required to expose the "signals"